However, while the salience of conflict for the sake of gaining territory may be declining, the importance of status as a potential driver of conflict may be increasing. Status is an ambiguous and elusive concept, but at its core, status consists of a country's ranking in a hierarchy within a peer group. Status can be measured indirectly through estimations of a country's influence and prestige, as well as its reputation. Status matters a great deal because it can confer considerable benefits, as studies on the topic have shown. Jonathon Renshon, an expert on the role of status in international relations, has described how high-status countries enjoy a greater degree of deference from other countries and can thus secure a far larger share of available resources at a far lower cost than their lower-status peers. Status can only be achieved through competition, however. Because rankings are inherently zero-sum, one country's rise in status invariably requires the diminishment of its competitors. The immense benefits that can accompany high status and the competition required to secure it help explain why status concerns have historically underpinned many inter-state conflicts. Historically, many a country has gone to great lengths and sometimes incurred crippling costs to salvage a faltering status or increase its standing. In the 1956 Suez Crisis, for example, Great Britain pursued an unnecessary and pointless military attack to stave off a challenge from Egypt to its waning status in the Middle East. The ensuing debacle confirmed Britain's decline as a great power. During the 1960s, U.S. anxiety over its status vis-á-vis its primary rival, the Soviet Union, led Presidents Kennedy and Johnson to escalate the country's commitment to a war in Vietnam of dubious prospects, a situation the Soviet Union mirrored in its own disaster in Afghanistan in the 1980s. Conversely, the value of an increase in status can be seen in the aftermath of Japan's stunning defeat of Russia in 1904 and 1905. The outcome shocked Western opinion and earned Japan the status of peer with the world's leading imperial powers. Tokyo subsequently expanded its control of Asia. Similarly, America's victory in the Spanish-American War confirmed Spain's eclipse as a great power in Latin and South America. The United States cemented its status as the leading nation in the Americas and saw its influence expand accordingly. Competition for status tends to increase in periods of uncertainty. As these examples suggest, competition for status tends to recede when consensus exists among peer states about relative rankings, as happened briefly in the largely peaceful and stable post-Cold War “unipolar” moment of U.S. global preeminence. However, competition for status also tends to increase in periods of uncertainty. Today, persistent economic stagnation in the developed world and the rise of developing countries have unsettled existing hierarchies and raised afresh anxiety over the standing of many great powers. Fears of diminished standing can be seen in the immense commentary bemoaning the decline in U.S. and European influence and in the debate over the possibilities of a post-Western age. Such apprehensions have also featured prominently in U.S. policy documents. In its recently released National Security Strategy (PDF), U.S. authorities warned that “China and Russia challenge American power, influence, and interests.” These concerns are particularly acute in Asia, which has seen an intensifying strategic competition for status and influence between China and its principal rivals—the United States, Japan, and India. For China, status is increasingly vital to realizing its revitalization as a great power. To sustain growth, China seeks to deepen Asia's integration through the Belt and Road Initiative and shape the terms of regional trade. China also seeks to construct a regional security architecture defined by Chinese-led organizations, such as the Shanghai Cooperation Organization and the Conference on Interaction and Confidence Building. With adequate status, China could gain the deference and cooperation from regional powers needed to control potential flashpoints, improve its security, and secure preferential access to resources and markets at a fraction of the cost in resources than would be required if it had to fight and negotiate its way through every issue. Recognizing the importance of the issue, the 19th Chinese Communist Party Congress report outlined as a long-term goal the ambition to “become a global leader” in “international influence.” Similarly, Chinese leaders have stepped up efforts to strengthen the country's leadership position in the region. For China, status is increasingly vital to realizing its revitalization as a great power. China for now has relied on peaceful, albeit intrusive, measures to increase its influence and bolster its standing, such sustained military modernization, massive economic diplomacy initiatives, United Front tactics and the manipulation of diplomatic carrots and sticks. Some observers have seen evidence of China's increasing influence in the Philippines' and South Korea's growing sensitivity to Chinese concerns. But the effectiveness of incremental, peaceful methods is difficult to prove because their effects are harder to perceive. Some commentators, for example, regard Chinese gains in influence as limited. 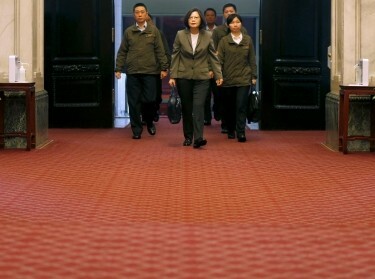 Moreover, peaceful, incremental efforts are also vulnerable to counter-measures. Already, a growing array of countries have begun to raise concern about Chinese economic coercion and influence operations. 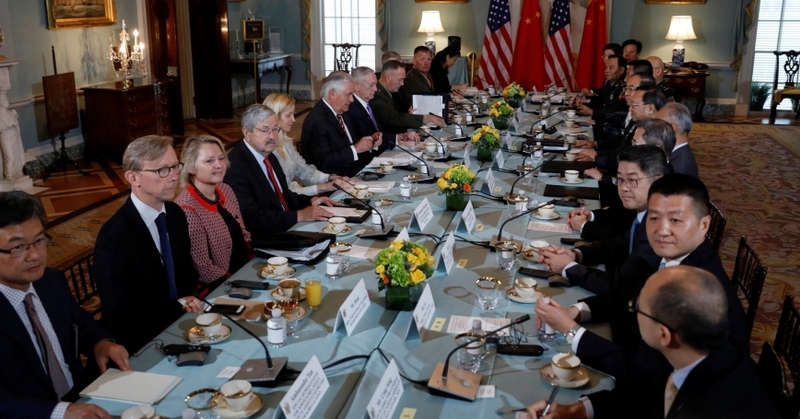 The United States and its allies and partners rightfully seek to protect their interests by bolstering their respective positions, even as they continue to cooperate with China. The strategy may succeed, but at its core is the assumption that stability can best be gained if China continues to acquiesce to the international order as established after World War II by the United States and its allies. China's conviction that its security depends on changes to this order sets up a deep, structural contradiction that is unlikely to be resolved any time soon. 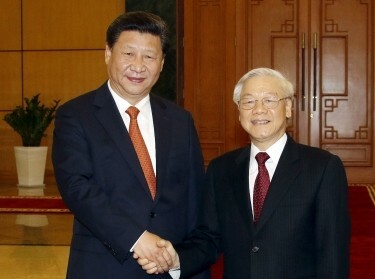 Beijing can accordingly be expected to persist in peaceful methods to supplant the United States as Asia's leader. If, however, Beijing at some point concludes that the United States and its allies have successfully stymied its aspirations, China may be tempted by riskier methods to assert its status. A precedent for such behavior may be seen in a rising Germany of the 1890s-1900s. Convinced that it had been denied a status befitting its national power by Britain and France, Germany provoked a series of militarized crises around the world. In 1906, Germany threatened war against France after the two feuded about influence over Morocco. And in a second Moroccan crisis five years later, Germany extracted colonial concessions after it deployed a gunboat in response to a French military intervention. 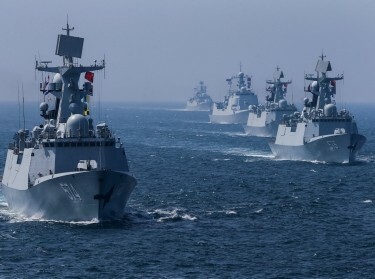 In China's case, brinksmanship behavior could be carried out in the contested East or South China Seas with military ships and aircraft. Already, a growing literature by Chinese military writers recommends the skillful exploitation of military crises for strategic gain. Brinksmanship carries its own risks, of course. Miscalculation could lead to unwanted war. The strategic effects could be severe as well. Rivals like the United States, Japan, and India could be alarmed enough by a clash that they step up military preparations, aggravating China's security situation. Moreover, conflict could imperil China's grand Belt and Road Initiative ambition, if aggrieved neighbors opt out and welcome investments by Japan and India instead. China has many good reasons to never consider military provocations against a neighbor. But Beijing also has compelling reasons to increase the country's standing and diminish that of the United States and its allies. Given that the ruling Chinese Communist Party has staked its reputation towards that end, China's leaders should be expected to consider all available options to achieve it. Timothy R. Heath is a senior international defense researcher at the RAND Corporation. He is the author of the book, China's New Governing Party Paradigm: Political Renewal and the Pursuit of National Rejuvenation (Ashgate, 2014). This commentary originally appeared on Asia Maritime Transparency Initiative on February 1, 2018. Commentary gives RAND researchers a platform to convey insights based on their professional expertise and often on their peer-reviewed research and analysis.